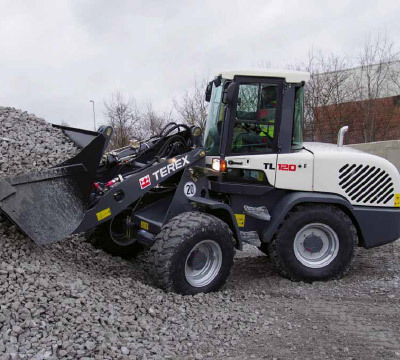 Compact wheel loaders offer economical, quiet and low-maintenance operation. Each model incorporates transverse-mounted engines — so wheel loaders can lift and transport high payloads, and in turn lower fuel consumption. Designed with an oscillating rear axle, they provide comfort and easy handling on rough terrain by maintaining 4-wheel traction. 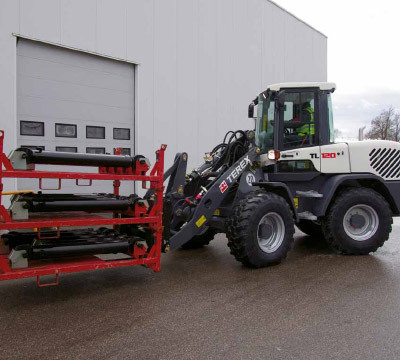 And, operators can easily and accurately control movements even when giving the loader full power — making hydrostatic wheel loaders the choice for powerful breakout and fast lifting.